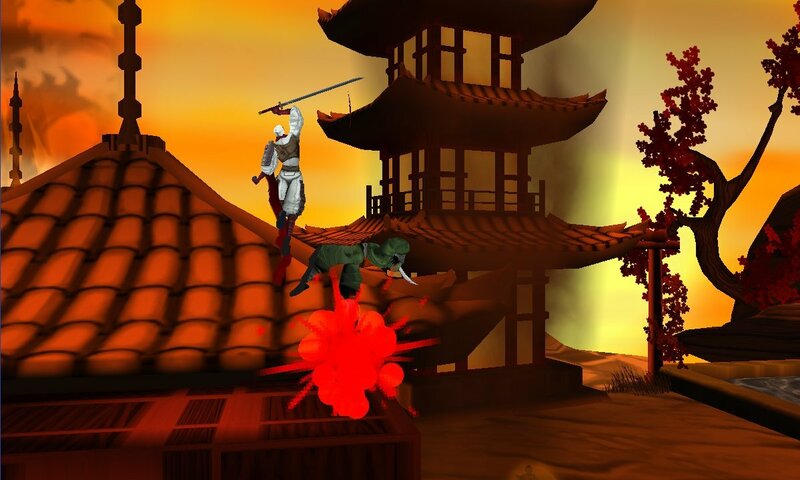 Shinobi is the latest version of the hard as teeth Ninja platformer that has had gamers chewing control pads and kicking arcade cabinets for more than two decades. Its transition to the Nintendo 3DS has not harmed the franchise’s main conceit as the unremittingly, nightmarishly, occasionally unfairly pitched difficulty is just as drill-bit hard as it has ever been. It’s a little-known fact that as a stroppy teenager in 1991, I once spent five whole English pounds on a single session of Shinobi in an arcade in Aberystwyth – one painful twenty-pence-piece at a time. Age has withered my memory and I forget how far I actually got although I’m certain I didn’t finish. But what kept me tossing in coin after coin, despite the cabinet’s obvious hatred of me, was to see just how ridiculous Shinobi could get. I haven’t read a lot of Japanese history, I admit, but I have a feeling that the number of Ninja’s who have taken on and defeated an armed to the teeth helicopter gunship with nothing but shurikens can be counted on one hand. One hand that has been dipped in barbeque sauce, sandwiched in a sesame seed bun and presented to a starving tiger. And it’s not just improbable chopper battles that have been shrunk down to pocket size for this Nintendo 3DS adventure, no. 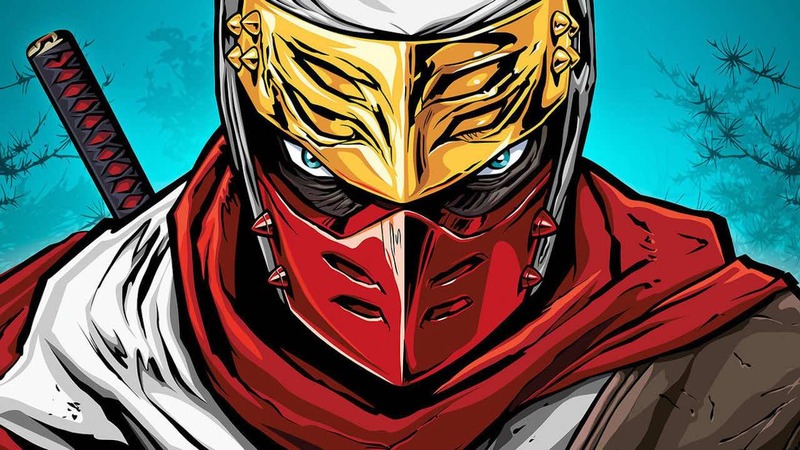 Throughout the course of this Shinobi, expect to go toe-to-toe with flying brains, wizards, witches, twin death robots, betentacled refugees from Resident Evil and scores of leaping Ninjas. The big crazy escalates with each new level. From humble beginnings in a burning, feudal Japanese township – complete with cherry blossom trees, sliding paper doors and a rising red sun background – successful progression sees you navigating caves of ice before, bewilderingly, being the target of machine-gun toting bad guys as you run across the top of a speeding train filled with genetic experiments. 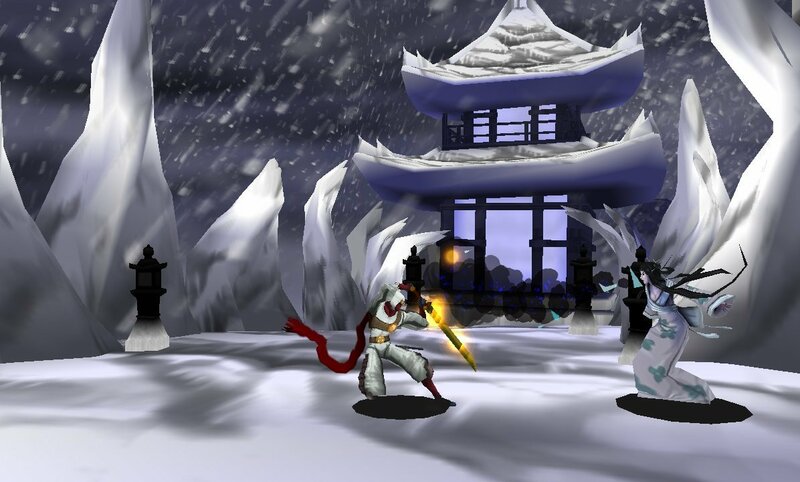 Shinobi on the Nintendo 3DS is still played on the same two-dimensional plane that has been a signature of the series’ success and the application of 3D does nothing to improve the game. In fact, with the 3D slider all the way up, expect to die even more as on either side of you there is a very visible ghosting effect that makes the many necessary, pixel-perfect jumps extremely difficult to judge. The controls are tight and responsive as they should be for a game that depends on the players’ reflexes to succeed. You will spend much of Shinobi jumping. Whether to avoid the metronome-like regularity of the enemies’ projectile attacks, to traverse a waterfall from falling log to falling log (it really is that retro), or to grapple to the ceiling where you can crawl, indefinitely inverted, Shinobi likes its main character to spend so much time in the air you can almost hear the frequent flyer miles stack up. It’s a shame, then, that the dreaded Leap of Faith rears its ugly and outdated head more often than is bearable. Perhaps three or four times a level you will be met with a dead end that leaves you little choice but to fling yourself into an empty void and hope you make contact with a ledge. In fact, I would go so far as to say that 40 percent of the deaths incurred while playing your first run through of Shinobi is a result of this dangerously outdated device. To jump or to double-jump. That is the question that, half the time, will be answered with a long fall and a sudden stop. Life lost. 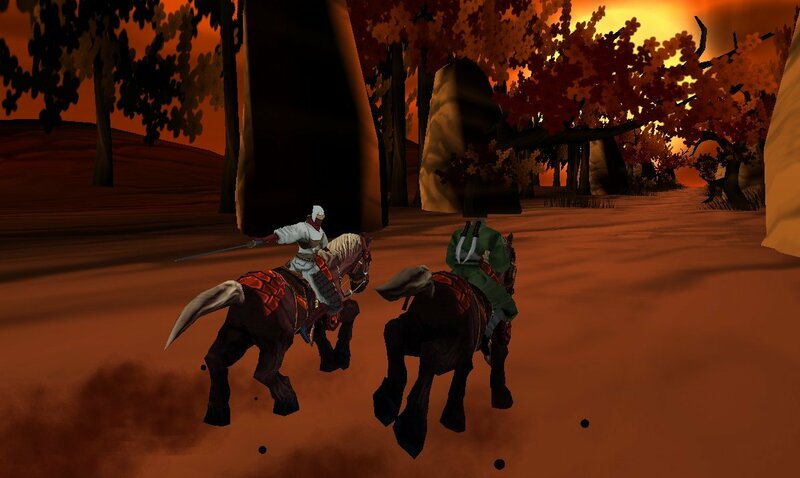 Completion of any level entitles you to the chance to do it all over again to try to beat your time. Stumbling through it the first time round exercises your physical memory to an extent that, hopefully, you can predict every sudden drop and every hidden enemy and dish out spiky justice in record time. The speed-run in a game of this type is a sadly underused method of play and it’s refreshing to find it encouraged here. Expect to return to Shinobi long after the baffling campaign mode to perfect your favourite levels. Breaking up the traditional platforming fare are minigames of sorts that can also be replayed independently after completion, though few of them are worth a second try. The vapid boss fight of the second level sees you riding the roofs of various trucks, leaping from one to the other to avoid missiles from an approaching tank. This level and levels similar are overlong and have very little variety. Checkpoints are uncharacteristically few and far between here, making insta-death from a result of a simple wrong-footing console chewingly annoying. Ditto the drawn out horse chase and the deadly elevator ride. Shinobi is at its best while you are on foot (or in the air, so to speak). The presentation is not as slick as the Nintendo 3DS is capable of, but for the most part, the game moves so fast you only notice the jagged edges and decidedly last-gen character models when you stop for breath. The real disappointment is with the anime style sequences that introduce the game and chapters: they are fairly crudely drawn, flick past like a flip book and, unforgivingly, not presented in three dimensions. For a game as punishing as Shinobi it’s only fitting that it should also be one of the most rewarding Nintendo 3DS titles: take it on the road and StreetPass bonuses earn extra modes of play and challenge maps; the history of Shinobi is unlockable; for each level completed you can, as mentioned, begin again for a speed record; provided you have found enough tokens during the game proper various cheats are unlocked such as invulnerability, infinite magic, regenerating health and so on; also playable characters and outfits are unlocked. Don’t expect a high score to be recorded as you cheat your way through a level but it’s touches like these that round off a package that could simply have been a play once deal, never to be returned to again. With Shinobi, SEGA and Griptonite Games have done a service to fans of old-school platformers like me. Although it has issues with the presentation and difficulty – mainly focussed on the cheap shots of faith leaps and surprise attacks – these can be overlooked because Shinobi is a memory test; a racing game in platformer’s clothes as shaving seconds becomes an urgent compulsion. It’s a good job this version of Shinobi is exclusive to Nintendo 3DS, for if it were on an arcade floor, well, there haven’t been enough coins minted to get through all it has to offer.